I want to thank you all for support during my blogging journey! To show my appreciation, I am doing a giveaway! As you know, I love getting Bless Box. 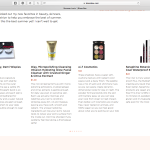 It’s a fun subscription box where you get beauty, fashion, and lifestyle products. Right now, they have some of their past favorite boxes on sale. 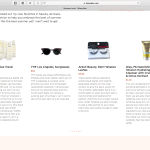 Since I love Bless Box, Sazan, I thought this would be perfect to share with one lucky person. On to the box! This past box is their June 2018 Summer Lovin’ box. It’s Valued close to $140 worth of product! There are so many goodies in this box! Sorry, this is US ONLY. HOW TO WIN!! 1. You must be subscribed to Joniamac.com either on WordPress or email. 2. Comment below your favorite thing about the holidays. Good Luck! Giveaway ends Tuesday 12/11/18 11:59pm. i must say my favorite thing is the music!! My favorite thing about the holidays, is spending time with my grandchildren, baking and decorating cookies.